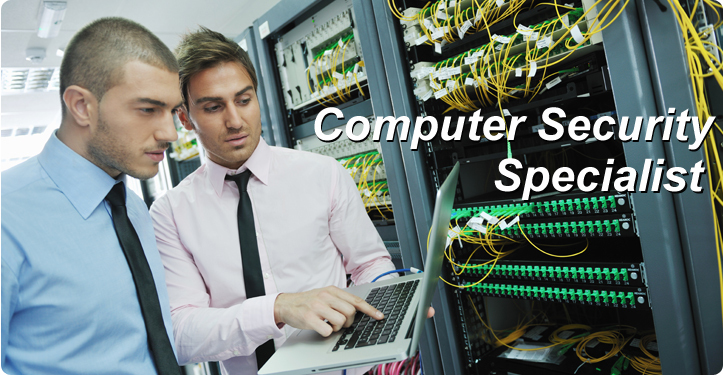 CIE's distance education Computer Security Specialist course was designed to provide the specialized knowledge required for a career in Cyber Security. This field is growing rapidly as cyber attacks on business and government servers become more common. Learn about emerging cyber security technologies and get started on a new and exciting career path! After you complete this program you'll receive a Certificate along with the opportunity to prepare for the CompTIA Security+ certification. 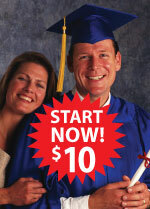 Enroll on-line in Course 6C for only $10 down. This distance learning course will allow you to master computer security techniques in an easy-to-understand format. Students learn to design and implement computer security systems and related protocols in different settings. This module brings together all the basic concepts, terminology and practical skills essential to security. Learn core topics such as vulnerability assessment, virus attacks, buffer overflow, hacking, spyware, network defense, Intrusion Detection Systems, and passwords. Topics will also fully address more specialized issues, including cyber terrorism, industrial espionage and encryption including public/private key systems, digital signatures, and certificates. Master concepts of firewalls and VPNs along with techniques used to attack hosts and networks. The course discusses TCP/ IP protocol suites and basic firewall requirements. Step-by-step guidelines for installation, designing, and implementing a virtual private network are described. Analyzing log files for network forensics is presented and discussed. Cover all of the need-to-know information about staying secure, including maintaining a secure environment and how to avoid security attacks. Topics presented for discussion include: Introduction to Security; Desktop Security; Internet Security; Personal Security; Wireless Network Security; and Enterprise Security. 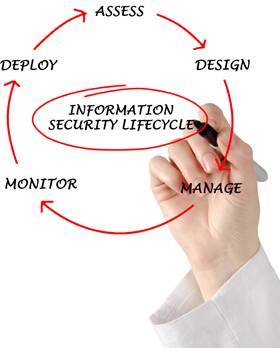 The goal is to increase the understanding of information security issues and practices in the home or in the office. CIE has an open enrollment policy so you can start this program at anytime. One of the advantages of enrolling with CIE is that you can study at your own pace. Some students go through the program slowly, others at an accelerated level so we can accommodate almost any arrangement that suits you best. Computer security specialists plan, coordinate, and maintain an organization’s information security. They install security software, monitor networks for security breaches, protect the integrity of data files, respond to cyber attacks, and in some cases, gather data and evidence to be used in prosecuting cyber crime. The demand for computer security specialists have increased in recent years as cyber attacks have become more sophisticated. According to the U.S. Bureau of Labor Statistics (BLS), employment of information security analysts nationwide is projected to grow by 22% from 2010 through 2020, which is faster than the 14% average growth rate for all occupations. •	Identify threats to a computer network. • Perimeter and/or layered approaches to network security. •	Use online resources to secure your network. •	Identify each of the major protocols used in network communication. •	Explain the use of firewalls and proxy servers. •	Internet investment scams, auction frauds, identity theft, cyber stalking. •	Know what laws apply to these computer crimes. •	Understand how denial-of-service (DoS) attacks are accomplished. •	Know how to defend against specific DoS attacks. •	Understand viruses and Trojan horses and how they propagate. •	Learn working knowledge of several specific virus outbreaks. •	Defend against various attacks. •	Hacker methodology and their mentality. •	Protecting a system from espionage. •	Encryption and modern cryptography methods. •	Choose the best type of firewall for an organization. •	Employ intrusion detection systems to detect problems. •	Evaluate and improve existing policies. •	Conduct basic system reconnaissance. •	Use port monitoring utilities. •	Locate court and criminal records on the web. •	Case problems from preceding chapters. End of Lessons Required for Certificate. Once you finish all 35 lessons you’ll have earned a Certificate in Computer Security and the confidence necessary to start a new career.